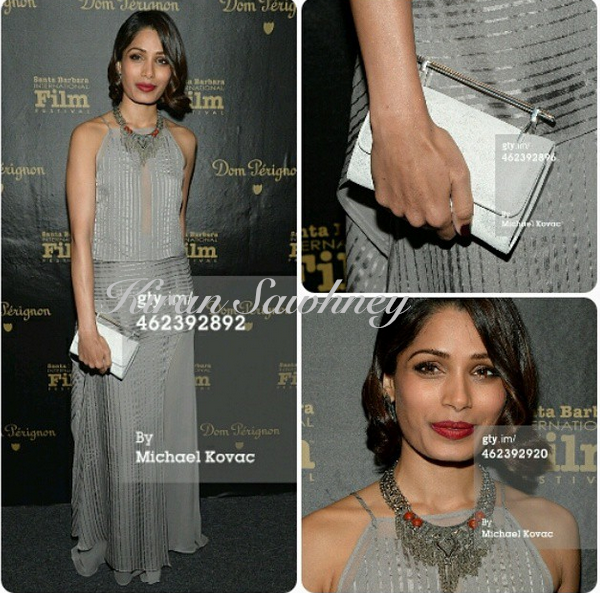 Freida Pinto was at 30th Santa Barbara film festival for the opening night of her film Desert Dancer. She wore dress by Mason by Michelle Mason. She added Dannijo necklace to it and wore Giuseppezanoti shoes. Red lips finished her look. Do you also feel that she has the potential to do better than this and that the addition of necklace was unnecessary?